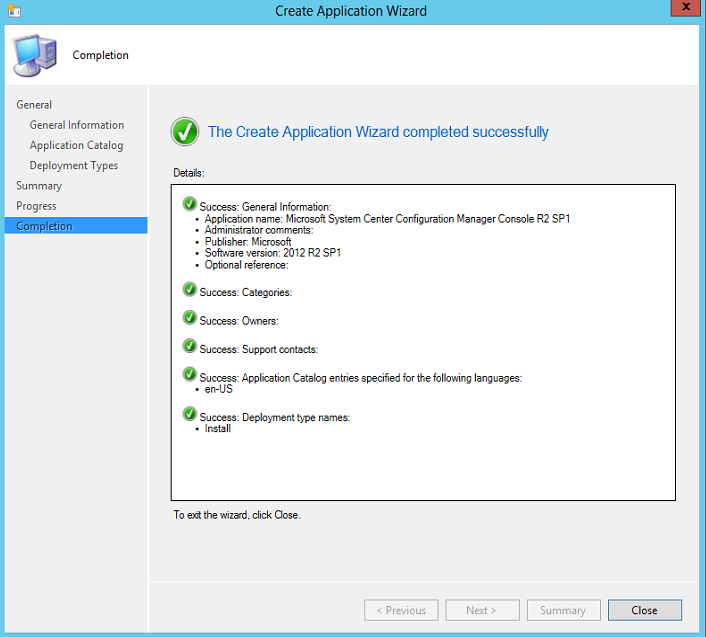 The installation of SCCM 2012 console can be either manually or automatically. Manual installation remains a good choice if you have a small team. 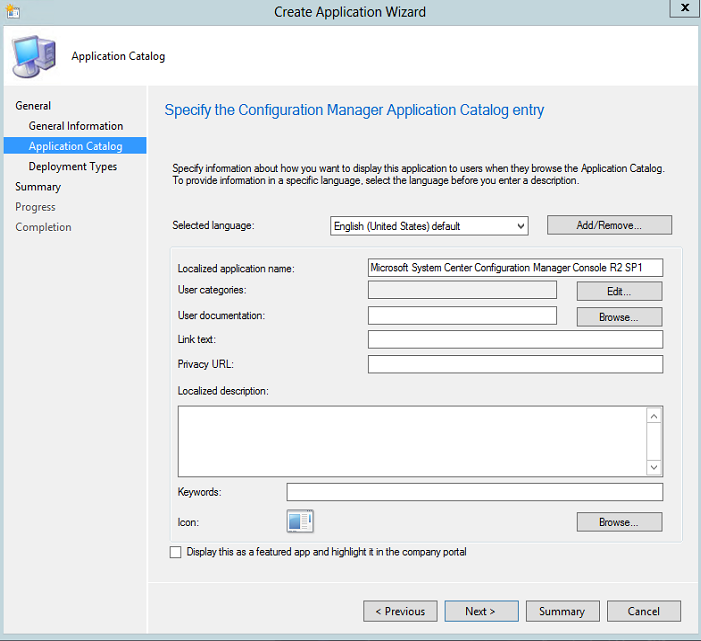 Using role-based access control in SCCM 2012, you can delegate administrative tasks to your team and allow more users with different level of access to the SCCM 2012 console. At this point, you would rather go the automatic way. 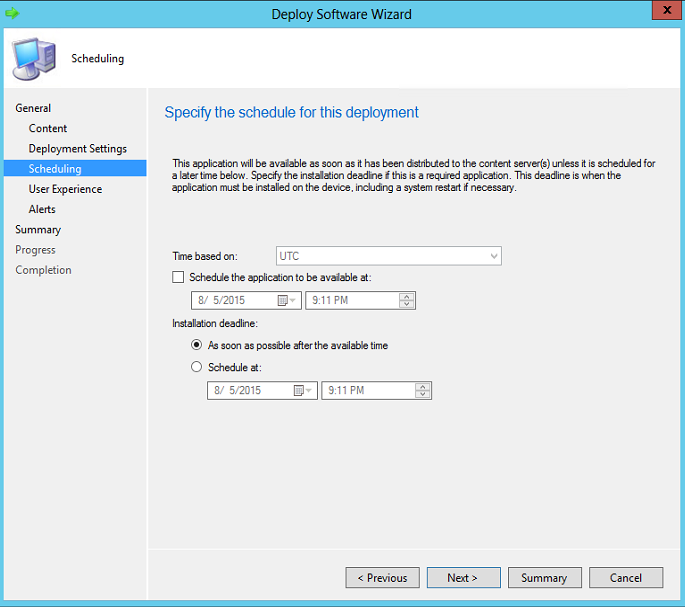 This post will explain you how to save time by using the Application Model in SCCM 2012 to automatically deploy the console to all your devices. 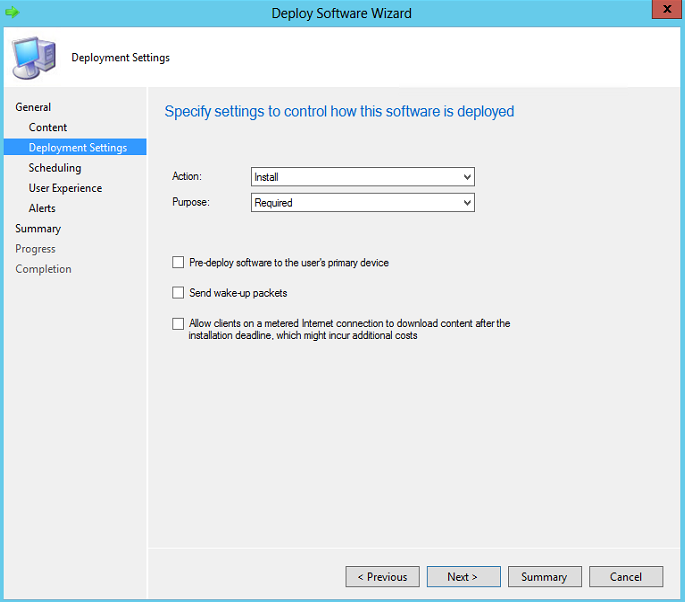 We won’t cover the pre-requisites needed to install the SCCM 2012 console on a device. Make sure your devices are compliant. To regroup all the devices of users that will be using the console, there’s two possible types of collection to trigger the installation, either user or device collection. Create a user collection if your goal is to target team’s member. With the User Device Affinity, you make sure that all devices used by a specific user will have the latest console version installed. The advantage of using user collections is the application catalog. Users will have access to install the console from the portal. 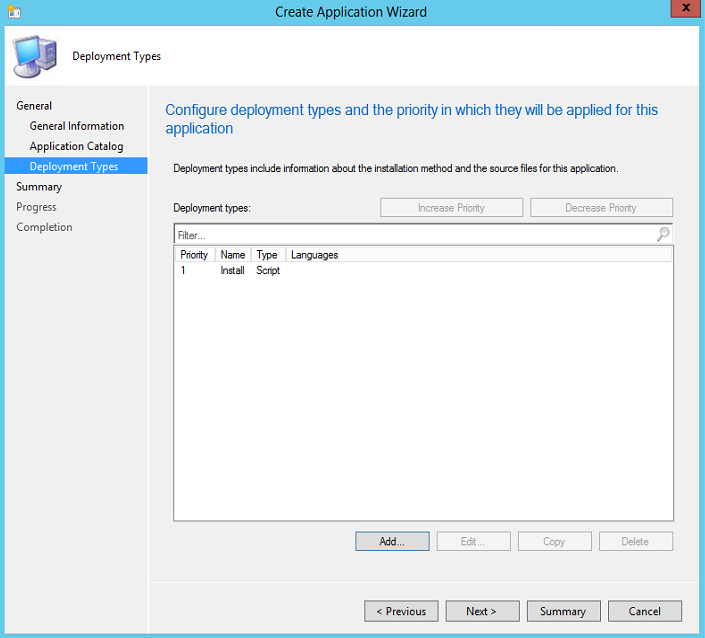 However, the Application Catalog web service point and website point must be installed in your environment to use the Application Catalog portal at the desired time. 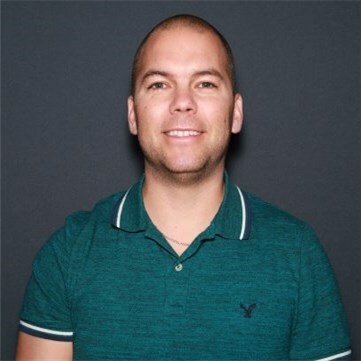 Create device collection if your goal is to target devices. With device collection, you make sure that all desired devices will have the latest console version installed. 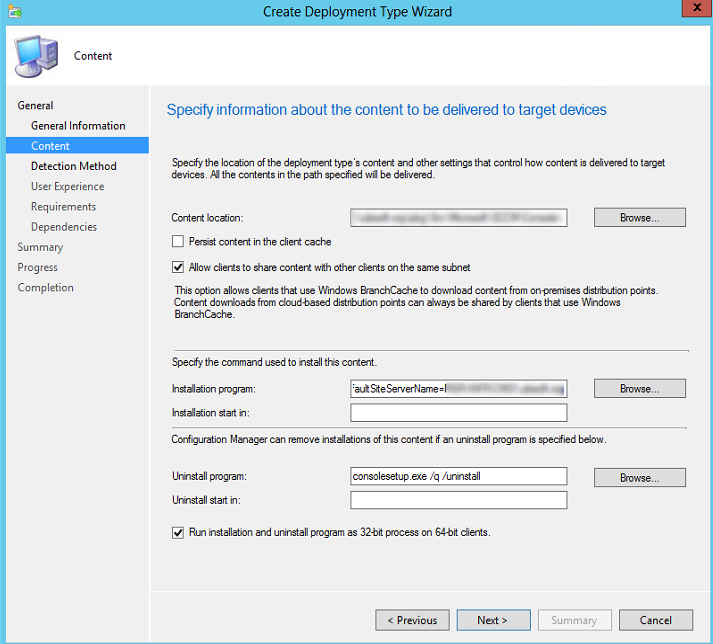 To update existing consoles to the latest version, include a query rule in the membership rules that targets devices with SCCM 2012 console installed. 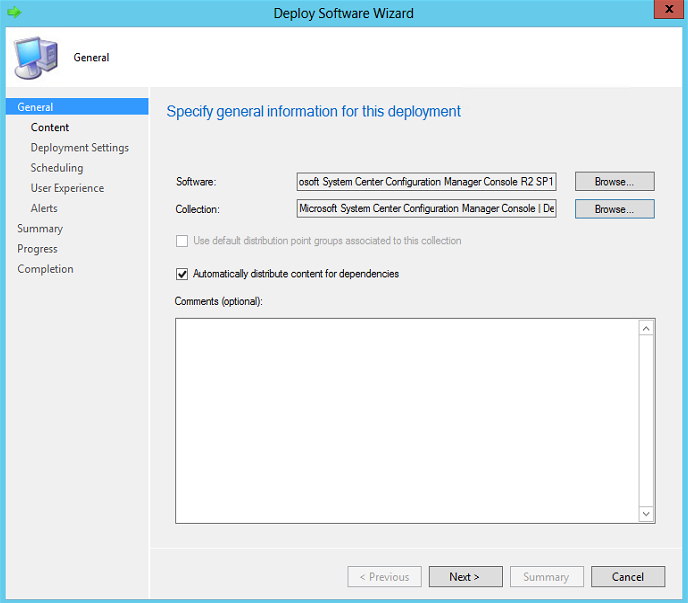 You can also refer to the PowerShell script that create operational SCCM collections that include consoles. 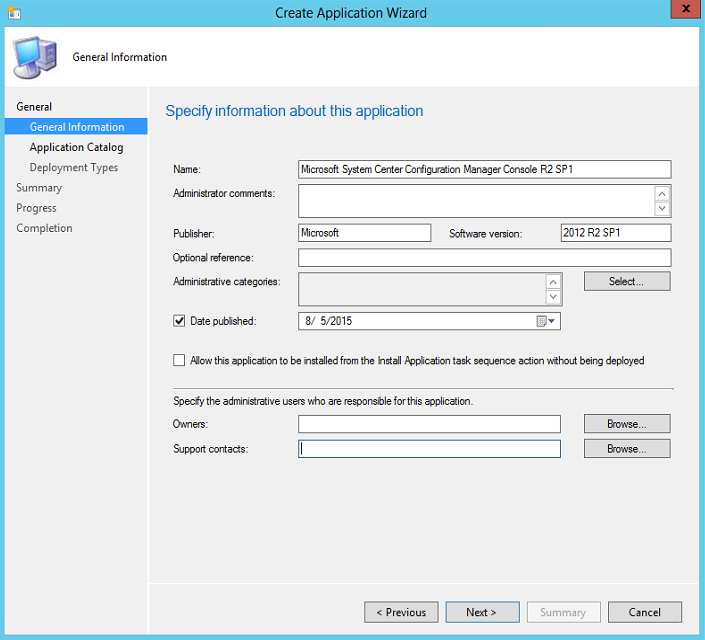 First, you will need to point to the files from SCCMInstallationFolder\Tools\ConsoleSetup to your content source location. It will be the source files used to install the console. 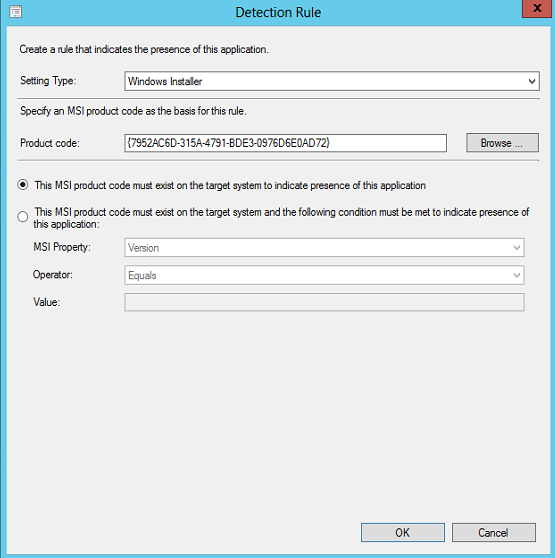 The detection method is designed to evaluate whether application is already installed or not. If it turns out that the application is already present, the application will not be installed. You see something like this in your application folder. The last step is to use the application and deploy to the collection. 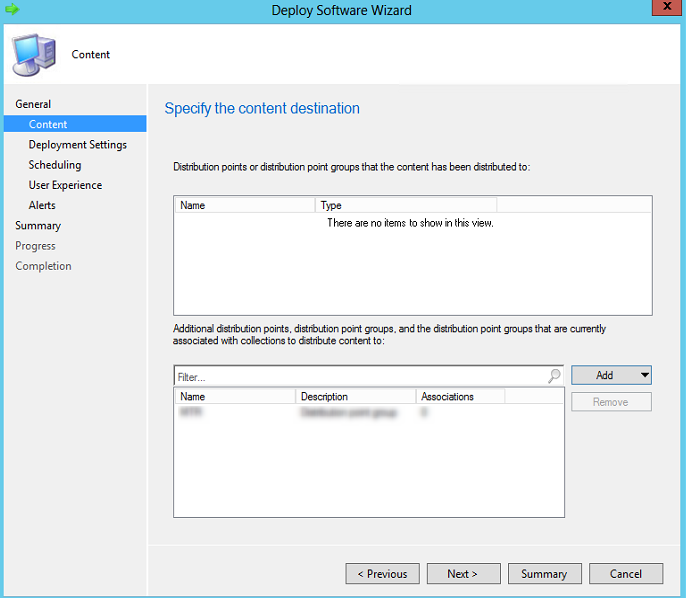 Before you can deploy the application, you must distribute content to your distribution points otherwise you will have deployment issues. What you must understand here is that if you are in position to update your current consoles, we suggest to use the Required option because without the update your console needs to match your site version. It must be apply as soon as possible. 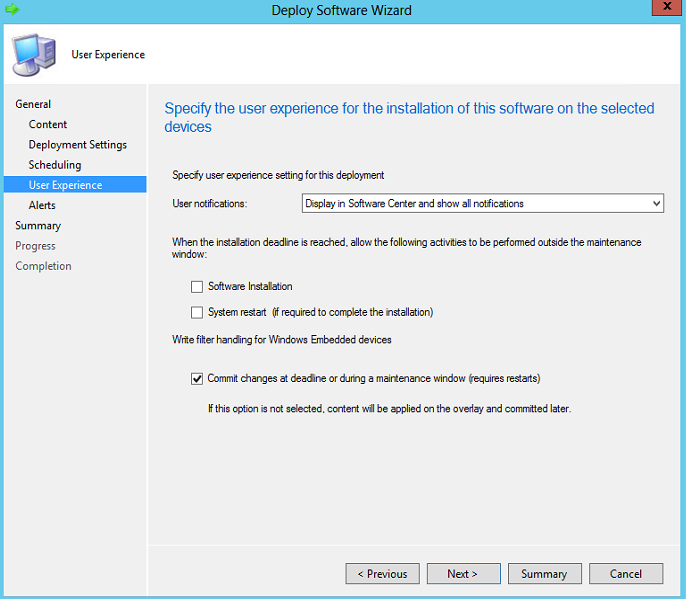 The Available option is used to provide the ability to install the console from the Software Center without being enforced. 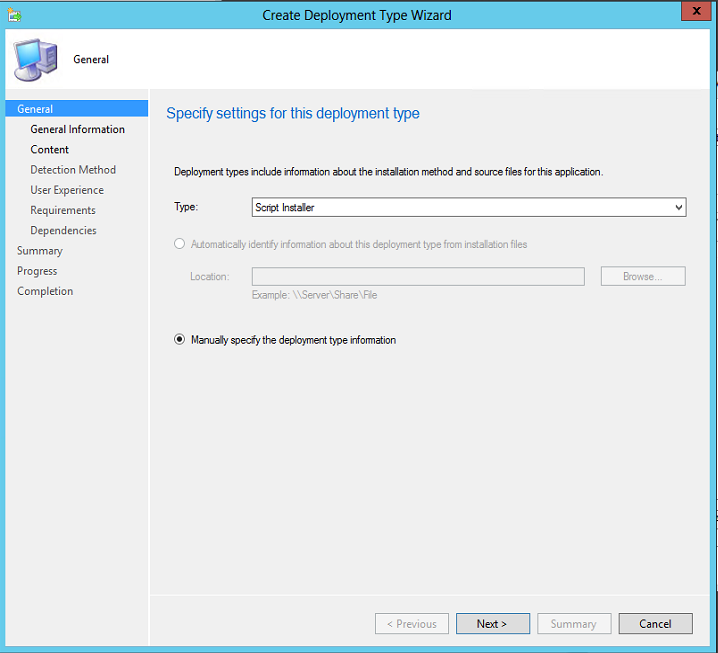 In User Experience tab, selecting Display in Software Center and show all notifications will display the status of the application deployment to the logged user. 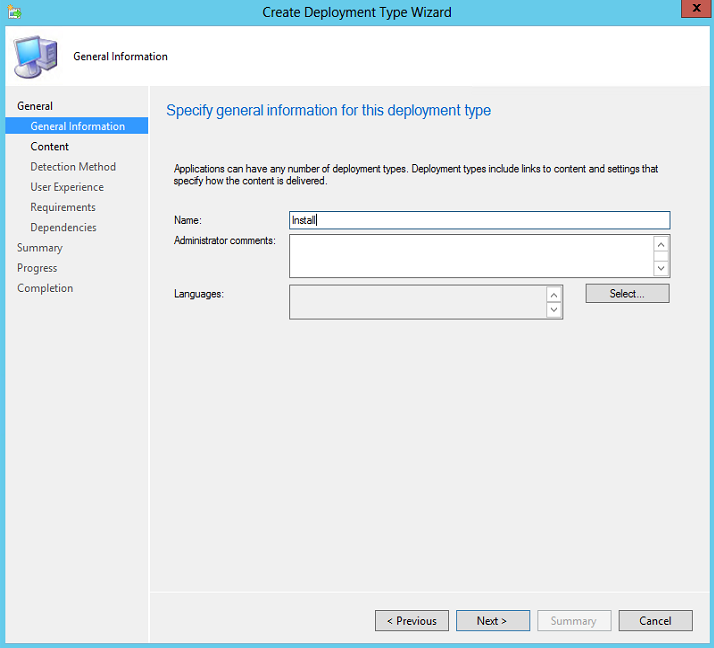 If everything has been properly orchestrated with the Available option, the application will appear in the Software Center as well in your Application Catalog. 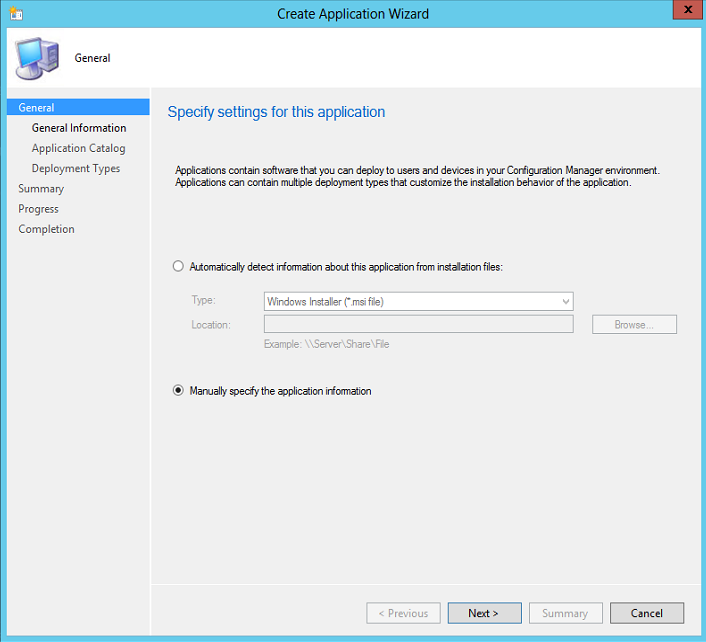 If you set the Required option, the application will be automatically installed. 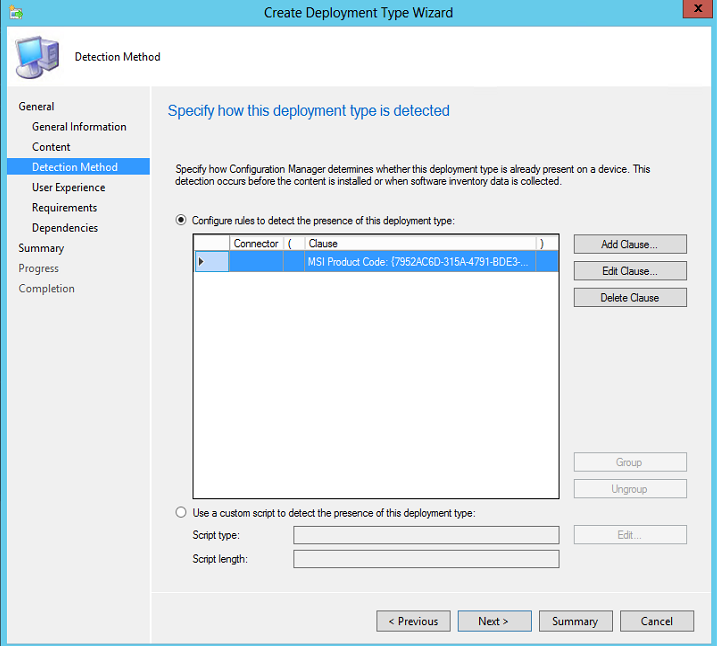 Monitor your application deployment and that’s it! 0x87D0067 (-2016410105) I have also tried using the package approach with the same result. I can manually install the admin console but that defeats the purpose. Any suggestions would be appreciated. 0x87D00607 = Content not found. 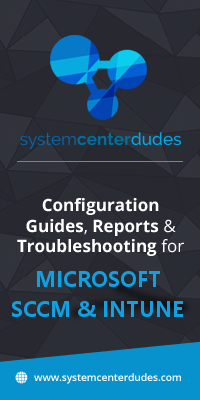 Troubleshoot just like you would in previous versions. Your content is well replicated on your distribution point? Not sure but I also think you should add “Microsoft Report Viewer 2010 Redistributable Package” as an dependency, along with the console, to be able to run the reports afterwards.